If you are handy and want to save some money this is very impressive and a very smart idea. 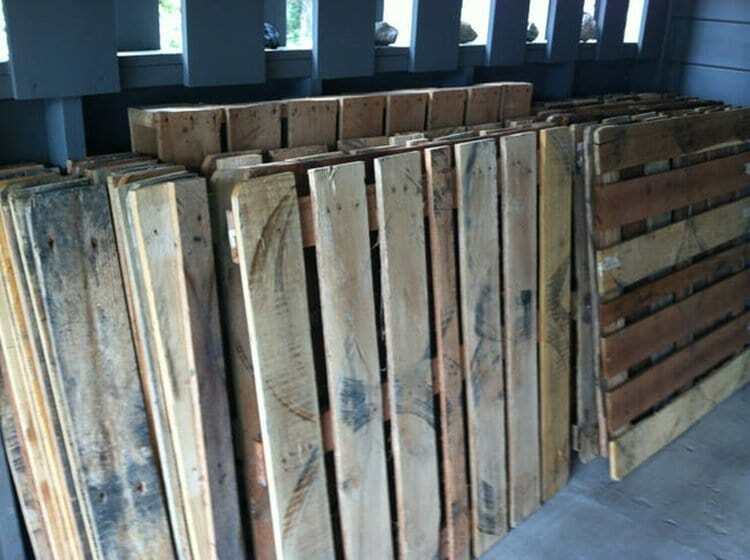 Wooden pallets are generally considered to be junk, so it's usually possible to get them for free, or at least very cheap. 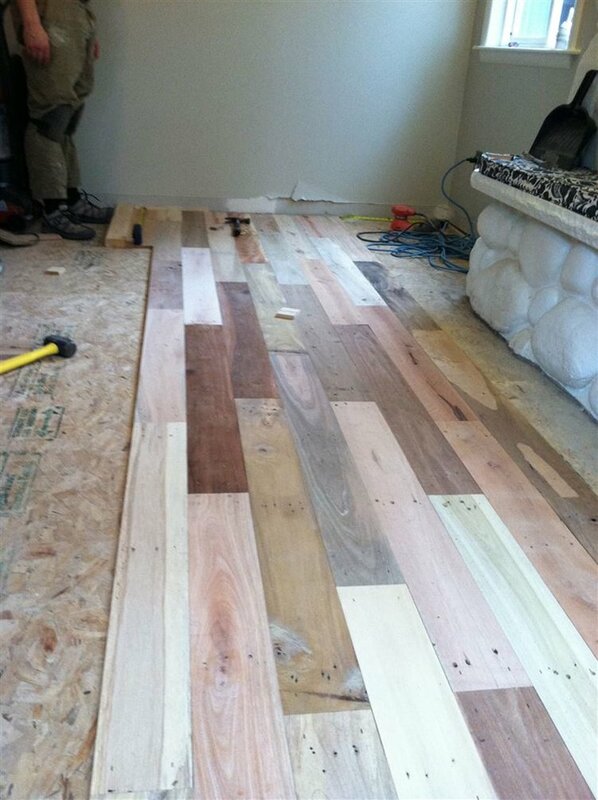 Solid wood flooring, on the other hand, can be extremely expensive. 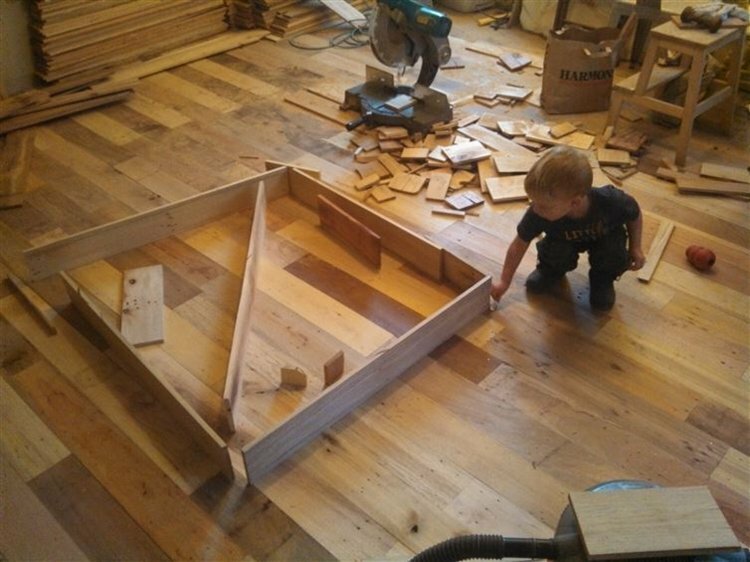 This young family on a budget decided to take matters into their own hands. 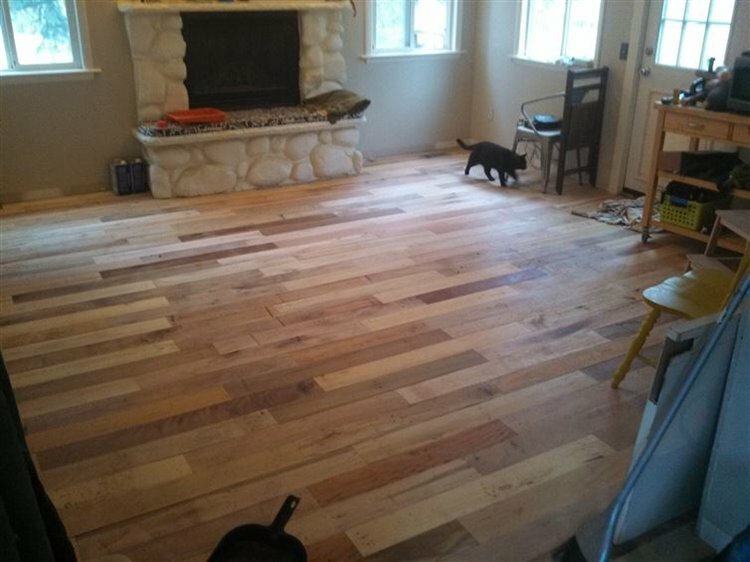 They were lucky enough to be given a load of hardwood pallets for free, and so they took the plunge and made their own wooden floors. The results are probably more awesome than you'd expect. Here are all the pallets they collected. That's an impressive amount! 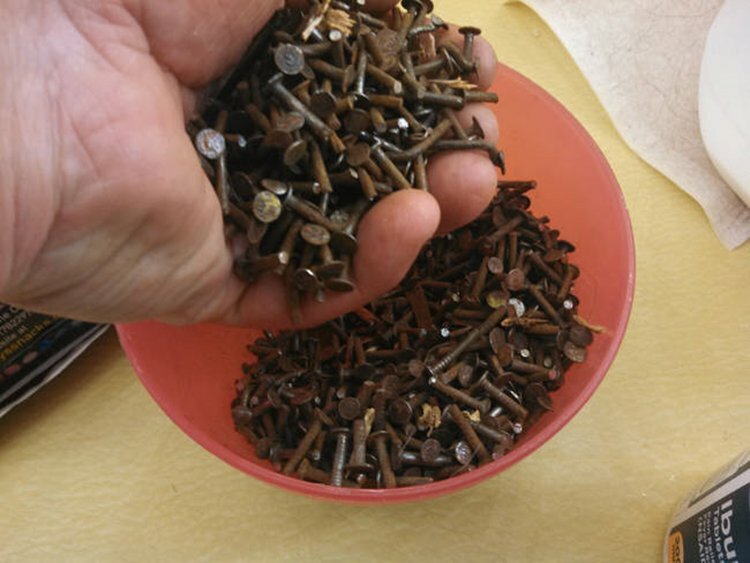 But, before they could be used, every nail had to be pulled out by hand. This is as long and arduous a task as it sounds. Once they'd all been pulled out, they were left with somewhere in the region of 9,000 nails! 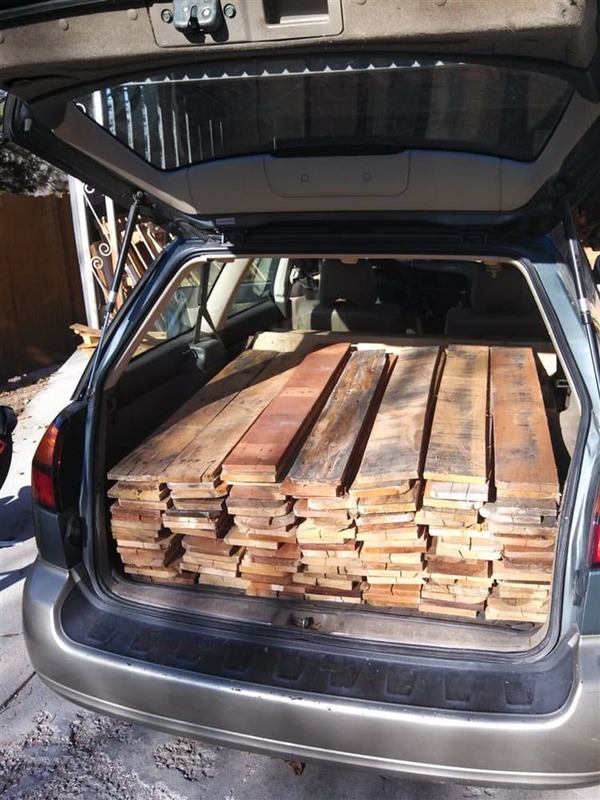 Now all the boards had to be loaded up and taken to be machined. 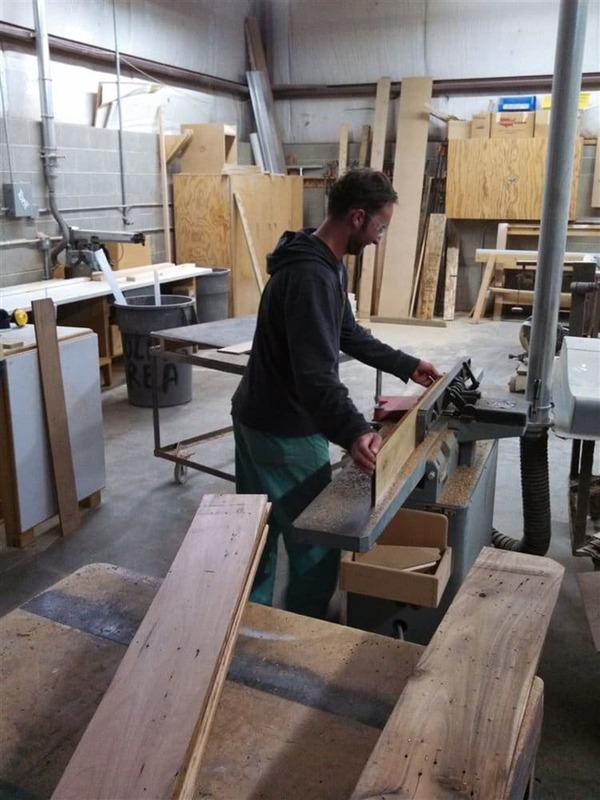 The boards were carefully worked on so that they were all of an even length, width and thickness, which means they'll look even when laid. 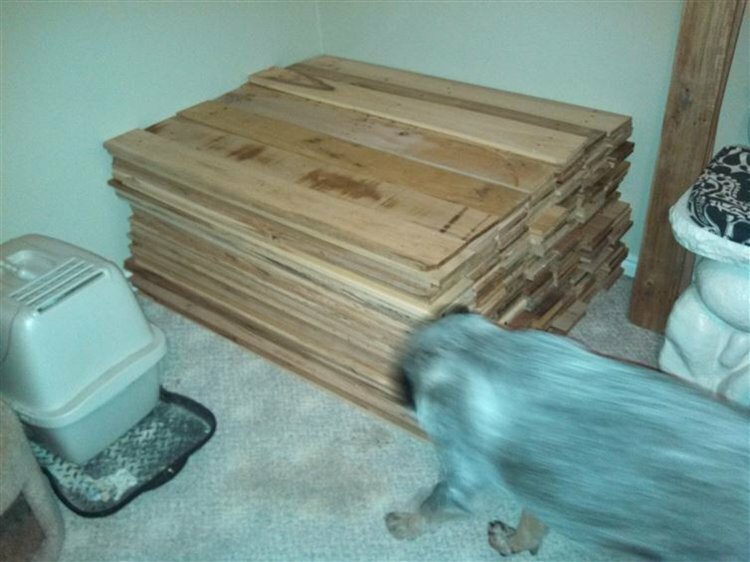 Here's the pile of finished boards. Even Fido's getting involved! Here you can see them starting to be laid. 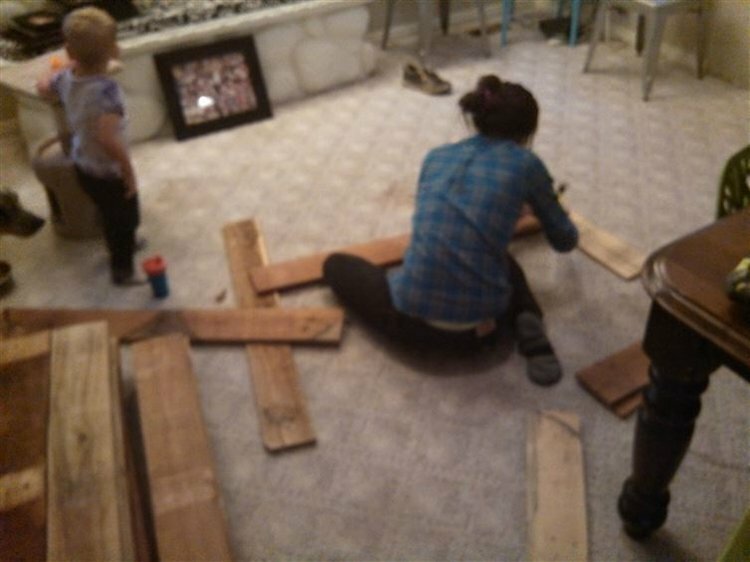 It looks as though the whole family pitched in to get things done. Kid's got talent! Wow, looks good! But, it's not quite finished. 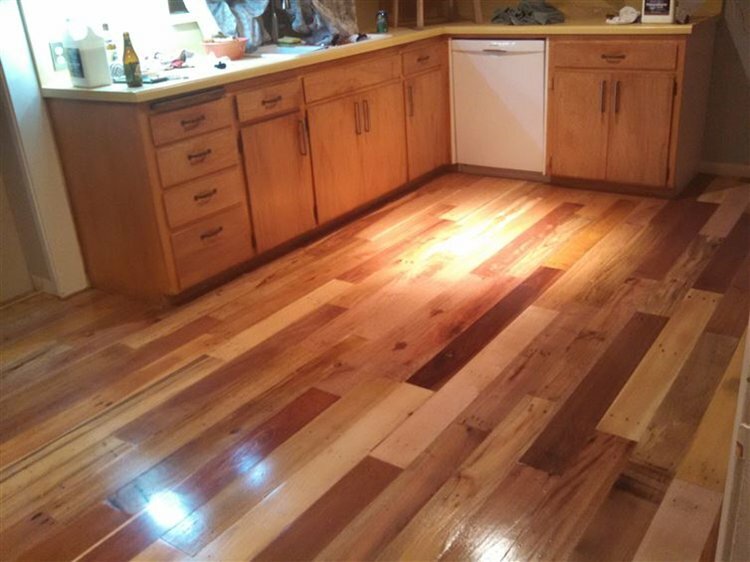 After a good varnish, the floors look amazing. 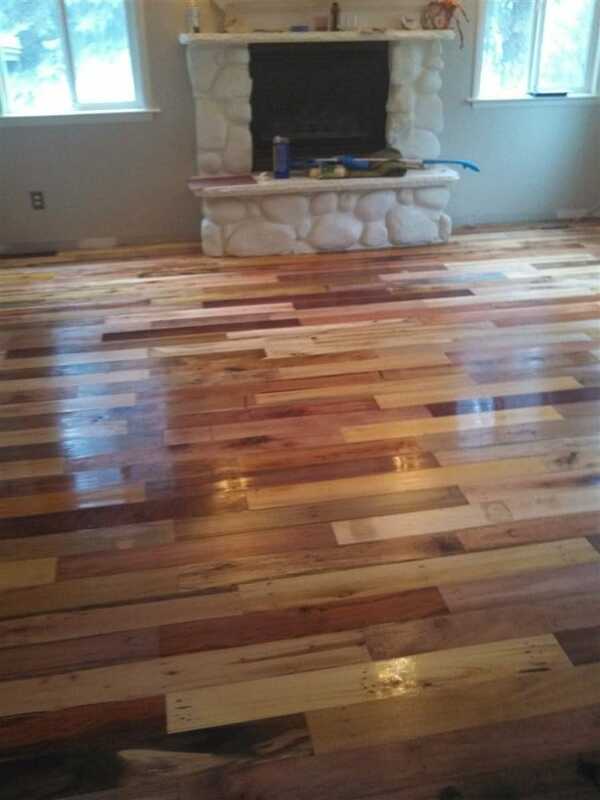 The varying hues of the wood makes the floor look unique. You'd never guess it was made out of old pallets!